Over 1,200 emails released under open records requests reveal that the US military is now the top funder and influencer behind a controversial genetic extinction technology known as “gene drives” – pumping $100 million into the field. The trove of emails, obtained via open records requests, also shed light on a $1.6 million dollar UN gene drive lobbying operation paid for by the Bill and Melinda Gates Foundation. “Emerging Ag,” a private PR firm funded by the Gates Foundation, is working behind the scenes to stack key UN advisory processes with gene drive-friendly scientists, and has recruited ostensibly independent academics and public officials into a private collaboration to counteract proposed regulations and to resist calls by scientists and conservationists for an international moratorium. Some of those recruited entered into the UN discussions without divulging their conflicts of interest or the role that paid political consultants played in shaping their inputs. The files, dubbed “The Gene Drive Files,” additionally cast a spotlight on the central role of the shadowy US Defense Advanced Research Projects Agency (DARPA) as the key funder now accelerating gene drive development. For example, DARPA is now revealed as the major financial backer of efforts to develop gene drive mammals (mice) that are led by a US environmental NGO, although DARPA has no biodiversity conservation mission, raising questions about the defence agency’s intent. These revelations come on the heels of a public warning issued by a leading gene drive researcher Dr Kevin Esvelt that current gene drives are too powerful to be used in conservation. “In response to this news that the integrity of technical processes under the Convention on Biological Diversity (CBD) may have been compromised, civil society groups will urgently raise the need for better disclosure of interests within a framework for addressing conflict of interest at the CBD,” said Lim Li Ching of Third World Network. “Mosquitoes containing gene drives are being proposed for malaria control in Africa. While claiming potential health benefits, any application of such powerful technologies should be subject to the highest standards of transparency and disclosure. Sadly, this doesn’t appear to be the case. Releasing risky GM organisms into the environments of these African countries is outrageous and deeply worrying,” said Mariam Mayet, Executive Director of The African Centre for Biodiversity. ● The US Defense Advanced Research Projects Agency (DARPA) is reported to have given approximately $100 million for gene drive research, $35 million more than previously reported. If confirmed, DARPA appears to be the largest single funder of gene drive research on the planet. ● Emerging Ag, a privately-held public relations firm, received over $1.6 million from the Bill and Melinda Gates Foundation to work on gene drive topics and to focus on exerting influence on the United Nations Convention on Biological Diversity (CBD), the key body for gene drive governance. Following calls in 2016 for a global moratorium on the use of gene drive technology, the CBD sought input from scientists and experts in an online forum. According to the Gene Drive Files, Emerging Ag recruited and coordinated over 65 experts, including a Gates Foundation senior official, a DARPA (Defense Advanced Research Project Agency) official, and government and university scientists, in an undercover attempt to flood the official UN process with their coordinated inputs. ● The attempt to covertly influence the UN process online centrally involved three members of an associated UN expert committee (The Ad Hoc Technical Expert Group on Synthetic Biology). Two of them are from institutions that together received over $100 million in U.S. military and other funds expressly to develop and test gene drive systems. One served as “stakeholder engagement lead” for a Gene Drive development project. The Expert committee meets this week in Montreal Canada. 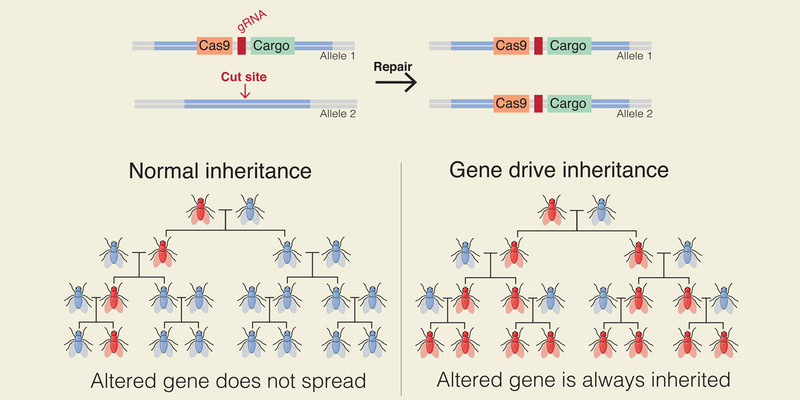 ● The secretive JASON group of military advisors have undertaken two classified studies on genome editing and gene drives at the request of the US government. The gene drive study, which included input by a Monsanto executive, focuses on hostile use of gene drives and use of gene drives in agriculture. ● DARPA is revealed to be funding a high profile UK team of researchers targeting African communities with gene drive mosquitos. This funding was not previously made public. ● The files reveal how far along the two leading gene drive teams (Target Malaria for the UK and GBIRD, based in North Carolina) have proceeded towards building gene drive organisms and are preparing for open field trials, including steps to select test sites in Australia, New Zealand, Burkina Faso, Uganda, Mali and Ghana, and to create government and community acceptance of the use of gene drives in key testing sites. The Gene Drive Files consist of records recently released in response to U.S. and Canadian open records requests. The bulk of the files are from North Carolina State University, and were released on 27 October 2017 under a request by Edward Hammond/Third World Network. The files also include records from Texas A&M University, also requested by Edward Hammond/Third World Network and released on 21 August 2017 (Request TAMU R001428). Additional records from an Access to Information request filed in Canada by ETC Group are also included at the same site. Please take note of the information provided (readme file) on proper citation of the records.